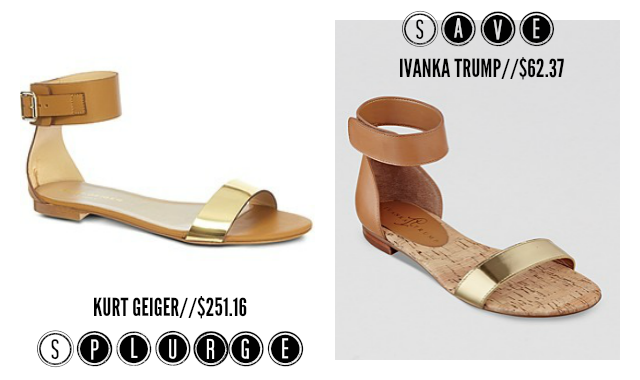 Another new type of post coming at you today with the start of Splurge v. Save! Since this isn’t a new concept, I won’t bore you with a long-winded explanation, but I will tell you what I’m doing with these posts that strays slightly from the norm. With my ‘Save’ picks, I may not necessarily choose the least expensive item out there (because let’s face it, sometimes cheap price = cheap quality), but through a combination of store sales, coupons, promo codes, etc., I’ll show you how to get the ‘Save’ to a much more reasonable price without sacrificing all the quality of the more expensive ‘Splurge’ item.